Thrive Quick Oats are a must-have for your kitchen pantry. They work great in everything from cookies and cakes to warm bread and granola. 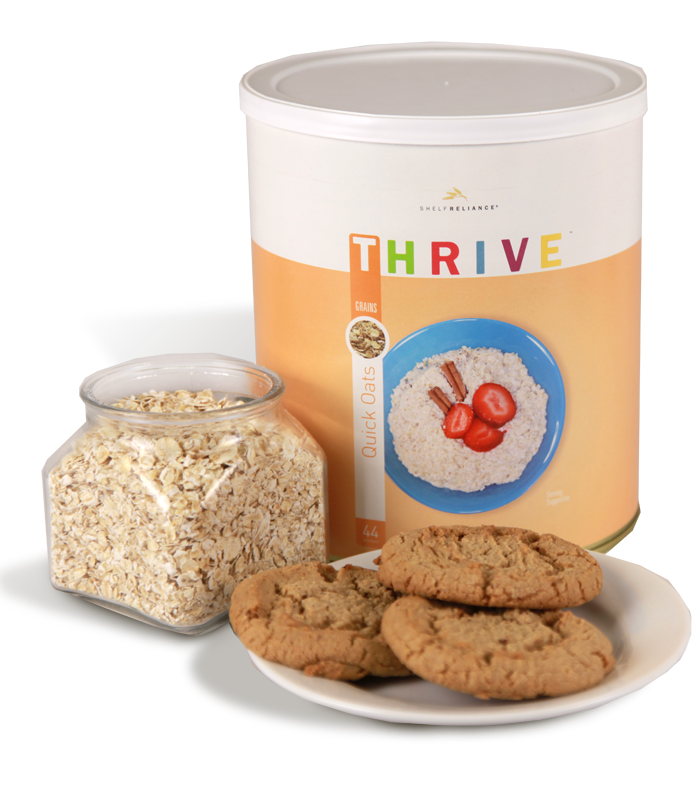 Thrive Quick Oats can be made into simple, yet delicious oatmeal. Try adding a variety of mix-in such as berries, brown sugar, syrup, or other fruits. Bring 2 cups of water to a boil, add a dash of salt and 1 cup oatmeal, then return to boil. Reduce heat and simmer for 3–5 minutes, stirring frequently. Our Quick Oats make for homemade oatmeal in minutes. Add it to baggies with different fruits and flavors to make your own instant oatmeal packets! These rolled oats are also great for oatmeal cookies, no-bake cookies, and streusel topping for muffins.